There are not days enough in the year for Anders Assarsson who runs Svenshult’s Sawmill south of Gothenburg on the Swedish west coast. Even though the largest model of Logosol-Låks frame saw is going at full speed and the neighbours are helping out. Now, the frame saw is to be automated, with the help of a large circular saw. Anders is the third generation on the farm. His grandfather bought the property in 1906. Back then, there were no full-grown trees as far as the eye can reach, only newly planted forest, which today has grown into dense coniferous forest. Ander’s father Assar Svensson started the sawmill in the 1950’s. The timber that was sawn became material for making packaging, for example boxes for vegetables. 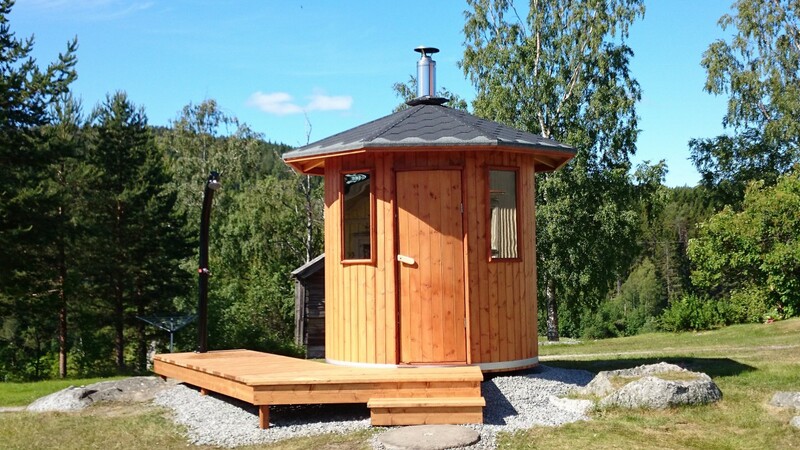 When Anders took over the business, the old sawmill was brought back to life, and until 2004 Anders also produced timber for making packaging boxes. But the demand for construction timber increased to such an extent that he invested in a Logosol Låks 500 frame saw and a Logosol PH260 planer/moulder. The old sawmill was allowed to stay to produce squared logs for the frame saw, but now it is on the way out. ”The demand for timber has increased to such an extent that I can’t keep up with the rise. I buy more and more sawn timber, but the margins on bought timber are not as good as when I saw my own timber,” Anders states. Now, he invests 700 000 Euro. The frame saw from Logosol stays and will be automated. A new sawing house is built, and in there a circular sawmill of the largest model is being installed. It is equipped with a double edger and all kind of automatic control devices. The circular sawmill will automatically feed the frame saw with squared logs. 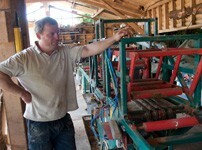 While the frame saw is cutting the cant, Anders will saw logs into other dimensions using the circular sawmill. This way he will have two productions flows and a significantly higher capacity, without having to employ anyone. Now, when he invests so much money in a circular sawmill of industrial scale, why does he keep the frame saw? “The accuracy and the sawn surface are unbeatable. Customers don’t accept the rough surface that you get from a circular saw,” says Anders. 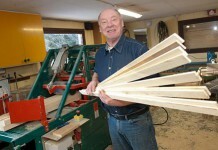 In his range, he has a couple of products that require a frame saw. One of them is cladding boards with two rough surfaces and planed edges. This is a product appreciated by builders, who can turn the boards in all directions, and still get a paintable surface facing outwards. The timber sawn on the circular sawmill will then be machined in the planer/moulder. When the timber is to be planed, the quality of the sawn surface is of less importance. The planer/moulder was bought already in 2002, and has paid off several times over. “There should have been a counter on the planer right from the start. Today I don’t dare estimate the number of metres that has passed through the machine,” says Anders, who praises the machine for being reliable in operation and at the same time producing a good result. Also the PH260 will move to the new sawing house. If the demands for planed products increase, it may be accompanied with another machine, or maybe be replaced by a bigger planer. But today there is no reason for replacing this workhorse. Anders is alone in the business, but if the need arises two of his neighbours, Erik and Nils Johansson, help him out. Every now and then, they bring their father Assar. They are three gentlemen who know about wood and sawing. And the knowledge about wood is the reason why demands have increased. “My customers are both builders and private persons. 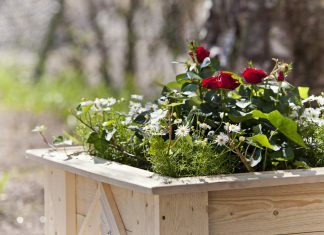 They want the right sort of timber and aren’t satisfied with what is offered in DIY stores,” says Anders Assarsson.